ROAD TOWN, Tortola, VI- They are not always on the same page or singing out of the same hymn book but Governor John S. Duncan OBE and former Permanent Secretary and Businessman Julian Willock are on the same page on two important issues affecting the Virgin Islands. Mr Willock, who has emerged as one of the voices of reason, speaking on important national issues and offering solutions on how to address them, has continued his public speaking campaign. Mr Willock, who was a guest on the EGM Radio Show hosted by Edmund G. Maduro last Thursday February 9, 2017 on ZROD 103.7 FM, told the public and the government that one of the first steps in crime fighting is to properly fund the Royal Virgin Islands Police Force (RVIPF). Inadequate funding, he reasoned, remains a major issue for the Police. “You have to also link crime and crime fighting to our tourism product. The government gives the Tourist Board maybe $13 million or $14 million a year; why not take a million dollars out of that and say ‘here is a million dollars for the police’? Do that every year to continue to help fund the police and provide the resources necessary” he proposed. He told the government and the people that it would not be new money, “it is the same money that you would have ordinarily given to the Tourist Board,” Willock continued. Well Governor Duncan has jumped on Mr Willock’s ideas and endorsed them and yesterday, February 13, 2017 at a government event at Her Majesty’s Prison, confirmed that one of the challenges is the lack of government’s priorities in funding, including that of the police. Mr Duncan told the ceremony held at Balsam Ghut, which included the Minister of Finance Dr The Honourable D. Orlando Smith (AL), that the Police Force's budget has been cut by 46% since 2012. The National Democratic Party (NDP) was elected in 2011. Governor Duncan implied that the UK would be concerned about granting more powers to local politicians if they continue to drag their feet on implementing basic proposals to ensure human rights are upheld and that Government is made transparent and accountable, the same things Mr Willock has been saying. 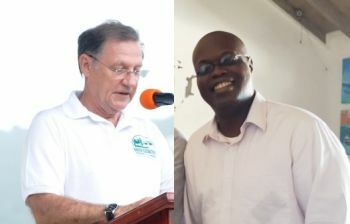 Mr Duncan, who has been accused by the Opposition in the HoA, and the media of doing nothing to aid in good governance, spoke out on the lengthy delays in passing proposed legislations such as the Freedom of Information Act, and legislation to protect whistle-blowers, as well as the establishment of the Human Rights Council. agree with both HE Duncan and Esteem Willock, As it is, this administration sails on, denying that it has hit an iceberg. Of course, he will agree. We now have a white commissioner, and he wants to make him shine. He could not care less if the commissioner was of a different race. are you suggesting the governor is a racist? The Governor is correct. A king has no honour in his own country. There is no way in hell the prison should be leaking for so long. Seems like John Duncan is with Willock- lock, stock and barrel. i wonder if he is carrying news? Willock to do fall in their trap when he kissing up and agreeing with you. Watch their motives Mr. Willock. This was the same man that block you from going to the PSC! I am sure that we will see many more such departures from the norm (Gov and JW in agreement) as this chaotic and incompetent Administration continues to blunder along. They violate guy hill human rights too, plus others. das Tolian on Tolian criminal activity. I am sick of all the Esteem talk talk talk it's time to be a servant of the people. This govt decided that big capital consuming projects were more important than the basic services required to run a country, there must be a health balance for things to work correctly. I listened to Carvin on a tv show with Bishop and he seems to be wisher washer on his positions on current affairs. He also wants to run with VIP. I listened to Willock. Very intelligent, have ideas and knows what he is about, that is the kind of people we need in office! I just cannot fathom why the NDP supporters aren’t up in arms about these matters. After all it is their democracy too at stake. Do they not love this country enough to show concern about what willock and the governor are talking about? Nobody should count chickens. 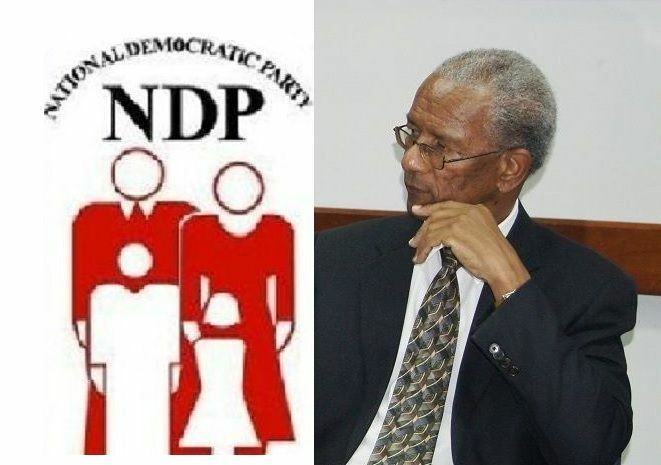 elections in the bvi are terribly complex. JW is another Livity Stoutt in the marking. The Governor Duncan and Mr. Willock becoming allies in theory could be a good thing.